When you stay at Hotel Villa Parco in Venice, you`ll be near the beach and 7 minutes by foot from Venice Convention Center. 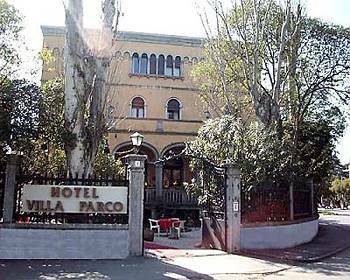 This hotel is 7.4 mi (11.9 km) from Port of Venice and 7.9 mi (12.7 km) from Piazzale Roma. Make yourself at home in one of the 22 guestrooms featuring minibars. Complimentary wired Internet access keeps you connected, and cable programming is available for your entertainment. Bathrooms have showers and hair dryers. Take advantage of the hotel`s 24-hour room service. Quench your thirst with your favorite drink at the bar/lounge. Cooked-to-order breakfasts are available for a fee. A tax is imposed by the city: EUR 2.80 per person, per night for adults; EUR 1.75 per night for guests aged 10-16 years old.